eobiont - A multi-tier website development project for an international insurance industry visionary. A multi-tier website development project for an international insurance industry visionary. 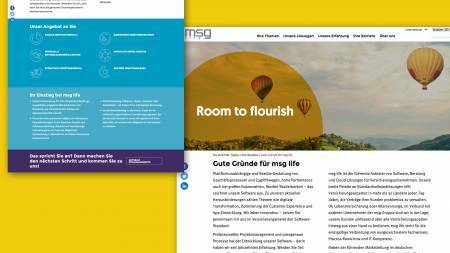 msg life needed a website architecture that would include an international corporate headquarters and multiple localizations for their worldwide subdivision. eobiont developed a completely new approach for them to match their new brand identity. 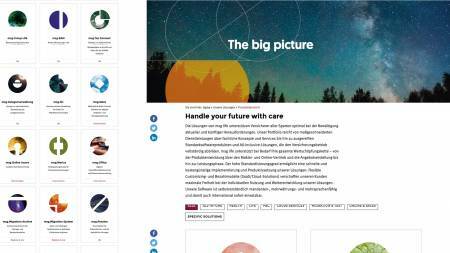 The new websites underscore their position as insurance industry visionaries. msg life is a leading software developer in the insurance industry. As part of our brand identity design work for them, we needed to completely restructure their online presence. This meant developing an architecture that would include a website for international corporate headquarters and multiple websites for their worldwide subdivisions. These should all have the same backend, and frontend look and feel, but allow for significant differences in content and scope. More specifically, templates would need to ensure brand conformity but include a large amount of flexibility and options for localized implementations and later additions. 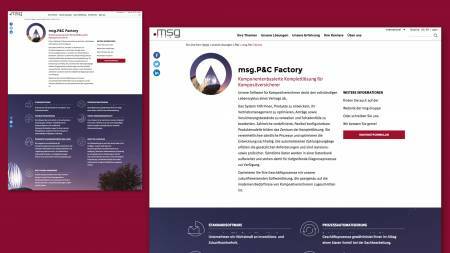 This process passed through a series of workshops and iterations, working closely with the msg life marketing team, international divisions and the executive board. 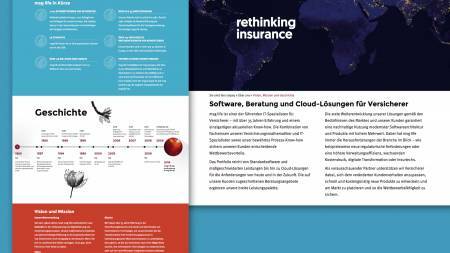 The new visual design underscores the company’s visionary position as an insurance industry thought leader. 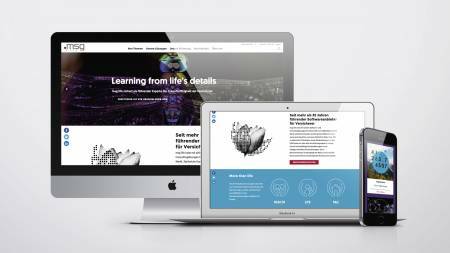 The new visual design underscores the company’s visionary position as an insurance industry thought leader. 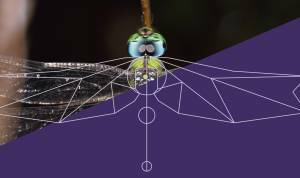 Their deep roots in mathematics and analytical approach to problem solving is represented by images from nature and science. These are combined with geometric figures and provocative headlines. The circle from the company logo serves as a guiding principle throughout. 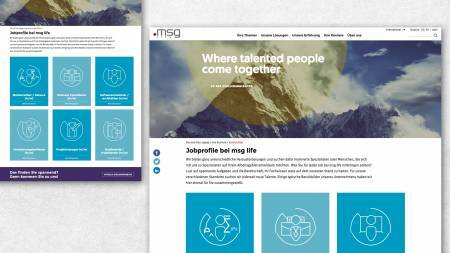 Details are organized through a full set of icons we created especially for msg life. They are based on the same circular pattern as the geometric forms used elsewhere. Product brands also use this iconography but are instead filled with photographic images, which we call picturized icons. An important focus was to provide for design sophistication while maintaining an easy-to-use interface for the staff. The backend is structured so that a new subdivision website can be created within hours and then filled with content. We offer several backend templates with many options. This allows the editorial team to match design with content requirements and add variation to the pages. An important focus here was to provide for design sophistication while maintaining an easy-to-use interface for the staff.